If it's Monday, it must be ribbon candy! I love my Squared Away Cutie Pattern and I love it even more because it uses the fabulous Kimberly Einmo's Solidish fabrics. 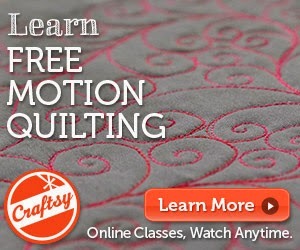 If ribbon candy doesn't come naturally for you, try using my ribbon candy stencil. It makes ribbon candy a BREEZE! This quilt is now in a bag waiting for me to deliver it to my local police station. I've delivered 5 quilts so far, and need another 25. I already have 3 or 4 quilts in the bag, ready to go. I expect to get a lot of quilting done this month since I start my IV treatments tomorrow and they include steroids that will keep me awake for weeks and weeks! 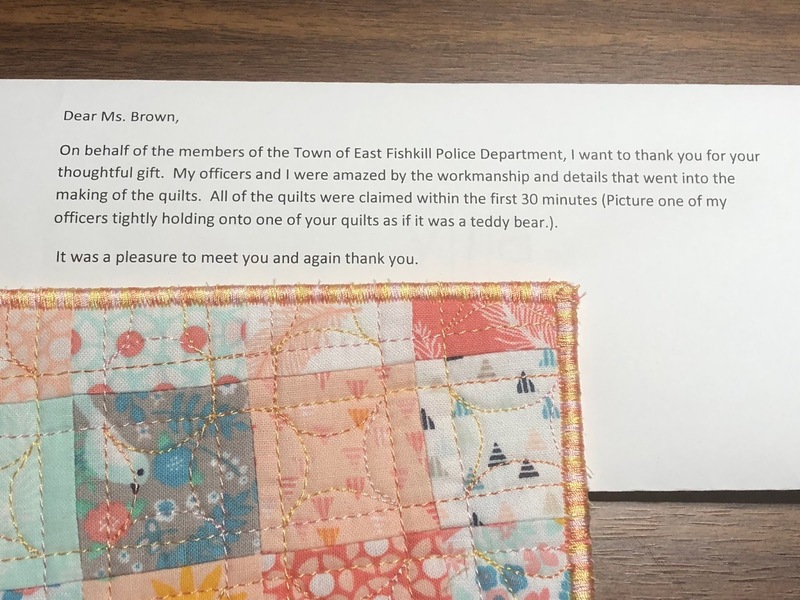 As I'm quilting, I'll think of these serious officers hugging their quilts like a teddy bear. Once I'm driving again, I'll drop off the next 5 (or 10, or 20) quilts until my local police force each have a quilt. 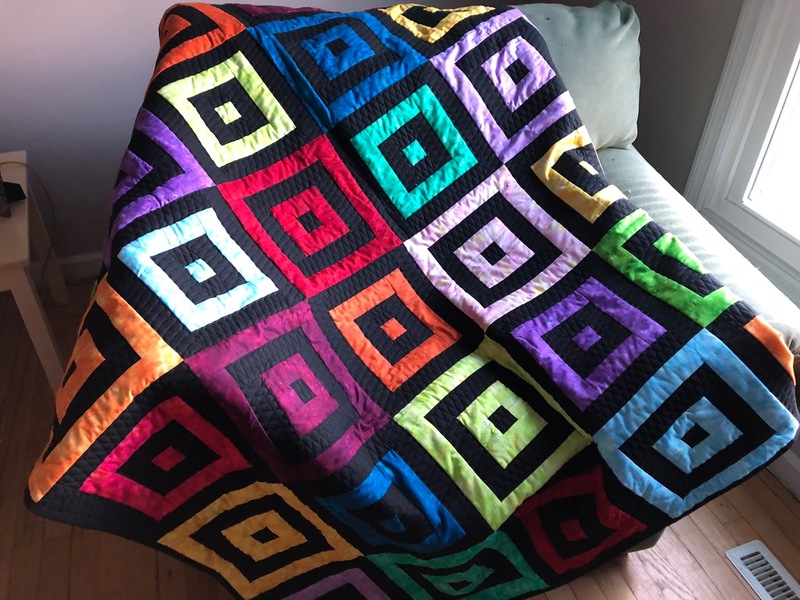 Do you surprise people with quilts? 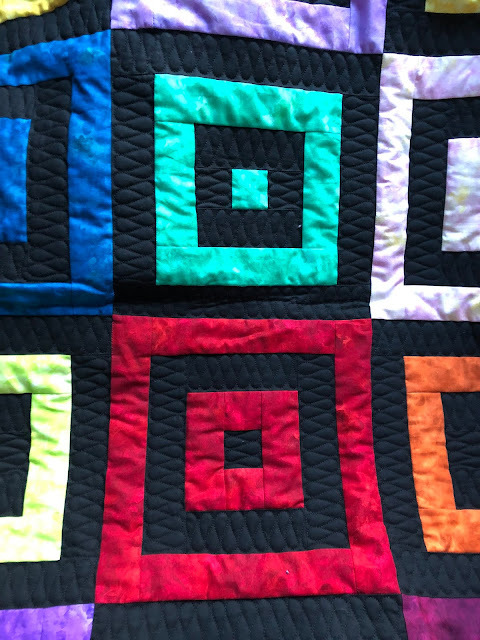 Where is your favorite place to donate quilts? How lovely. So nice to know a super gesture is appreciated so much.